DJI just released this Osmo Mobile, for your smartphone, that has active tracking and motion timelapse And here it is. The brand new Osmo Mobile in it’s beautifully designed box. Let’s cut the shrink-wrap gently. Because I like to keep things neat and clean. You can mount phones with width from 58.6 to 84.8 mm. To put that in perspective, iPhone 6s Plus is 77.9mm wide Comes with 980mAh battery that lasts up to 4.5 hours Connects to smartphone using bluetooth You can use the DJI GO app stream live on YouTube or Weibo You can even use your phone's wifi for this This mount is very cleverly designed. You unlock it here, it's not with a spring it is with this dial So you don't have to hold anything up like that, you just place your phone in here Now before you turn this on you have to balance it and balancing is actually really easy You balance it here It means it is balanced if the phone remains level when it is released. Now let me show you how this works. As you can guess you can make it look around using this joystick which also allows you to rotate the gimbal in various speeds depending on how far you push it You can hit this to take a photo, hit this to record video This is to turn it on and off and here we have a mount Then on this side we have a trigger and the charging port that looks very much like a headphone jack but it is not a headphone jack so don't connect this end to a charger and this end to your phone, you'll just kill it. This is for this guy only. And normally it follows wherever you want to look Want to look up, starts looking up Want to look down, starts looking down If you hold down the trigger wherever you turn it stays facing the same direction Which is beautiful because you can use these two functions in a nice combination when you're outside When you double tap the trigger it resets the camera angle And when you tap it thrice Turns into selfie mode. Let's take a look at Active Tracking. So now I can select myself And it starts tracking me So I don't need a cameraman anymore Because I got this guy. What happens if it loses me? Oh! Nice! And now let's take a look at motion timelapse Let's say select this for the first frame and let's say we want to end here I'm going to hit next, 30 seconds So you can create fantastic motion timelapses just with this. And whenever there is a new phone that has a better camera, there your osmo has a better camera Well then let's go outside and test this! First, let’s take a look at the difference between the handheld video shooting and osmo mobile. In this test I’m using an iPhone 6s Plus which has optical image stabilization so that shaky footage on the right is actually better than other non-plus iPhones. It is actually so easy to use that when I switch to my left hand I had no problem controlling the osmo mobile So let’s commence the ultimate challenge for the stabilizers. The test that defines the best, the test where it all began Yes it is time for the “the rocky test” I think Osmo Mobile captures the best of different worlds. It is easy to prepare to use like similar gimbal systems but also it feels analog like steadicam stabilizers. Tracking is amazing, motion timelapse allows you to create stunning videos. And once you activate your Osmo if you like to use the basic stabilization with trigger and josystick functions You’re not stuck with DJI GO app either, you may have noticed that I used the camera app during couple of shots. 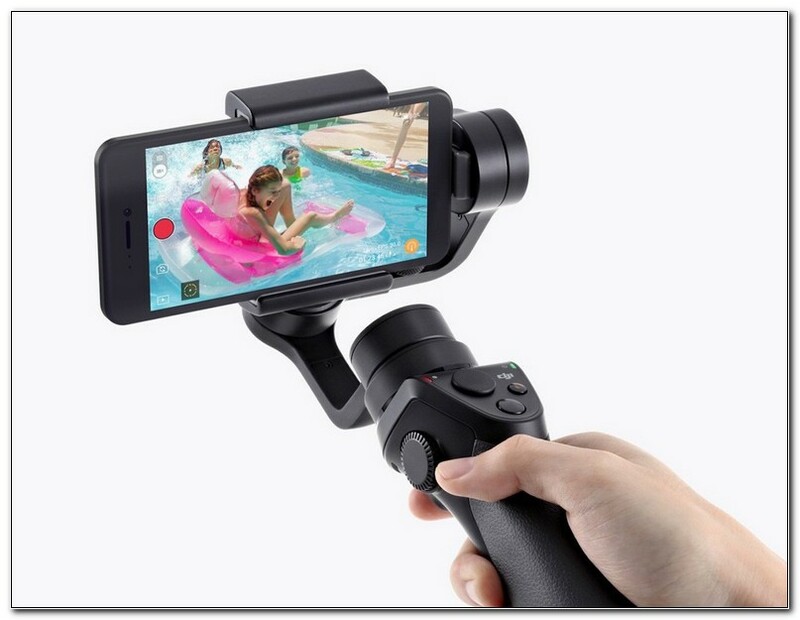 Which means you can use this with periscope or similar camera apps Unlike those barbell feeling stabilizer gimbals out there Osmo Mobile feels natural feels comfortable and has the human touch to it. Which makes a huge difference for me. 0 Response to "DJI Osmo Mobile — In-Depth Review and Tests "